How the Moon affects daily tides and drives extreme spring tides, when the Sun and Moon align. The Moon creates and controls the tides. Its gravitational pull causes ocean water to bulge upwards. Tides are produced as the Earth spins through the bulges. 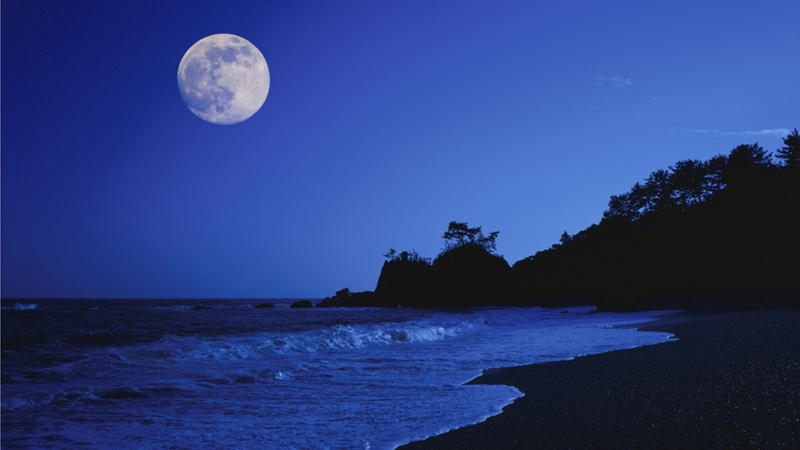 Spring tides occur at the new and full Moon. Its gravitational pull on the oceans is so massive that it causes them to bulge upwards. The Earth also gets pulled slightly towards the Moon, leaving another bulge of water on the opposite side. The Earth spins through these bulges as it rotates on its axis.